Buy Today!! In Stock Now!! 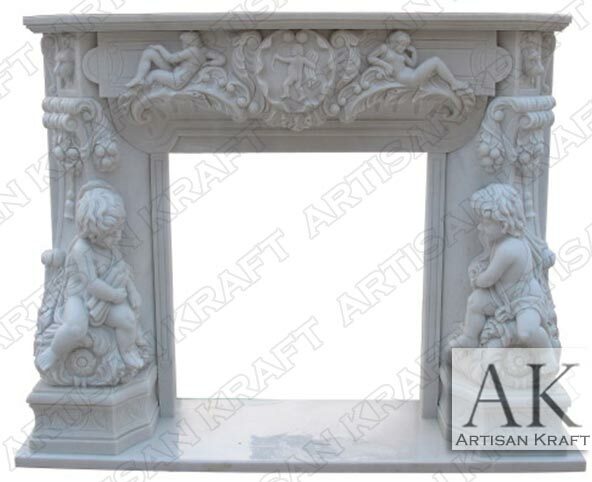 Antique Victorian Mantel Fireplace has three cherubim on the fireplace mantel. The marble cherubim project out on the lower part of the hearth. The frieze has another cherubim carved in the center of the shelf. This surround has a matching hearth. Overall a larger piece with exceptional details. 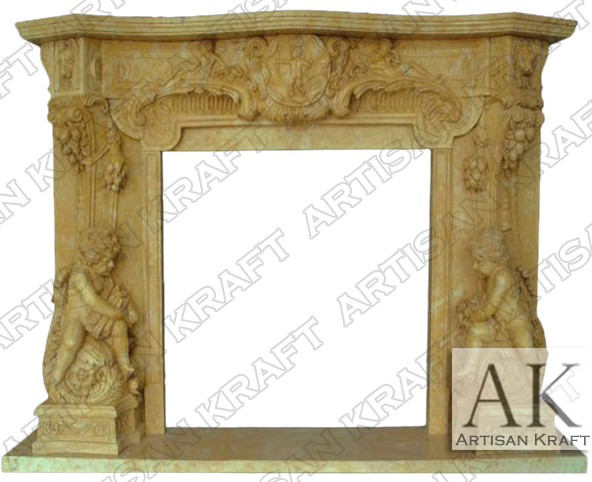 These statue fireplaces are beautiful and we offer several different stone statue surrounds. Please note that this fireplace is currently stocked in our Chicago location. Make sure to check out our modern mantel surrounds. Typical Dimensions: 70″ wide x 54″ high *can be made to custom dimensions.